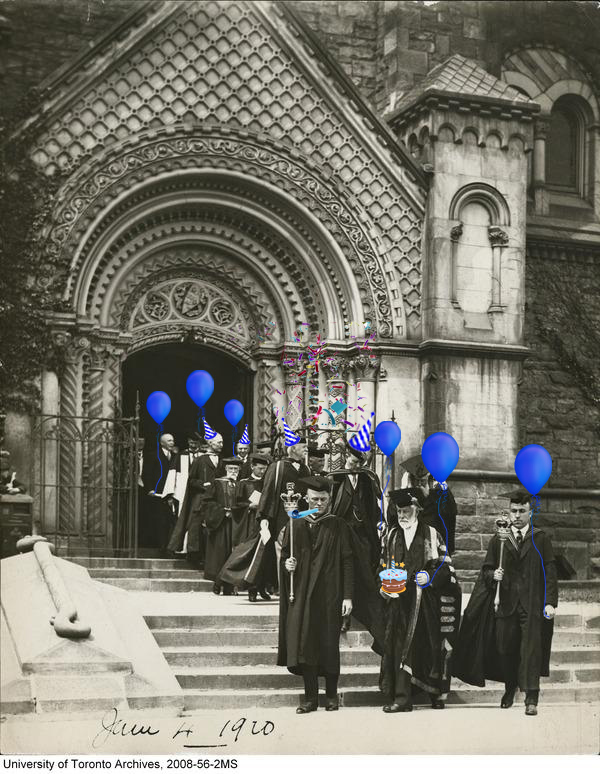 Happy Birthday U of T! 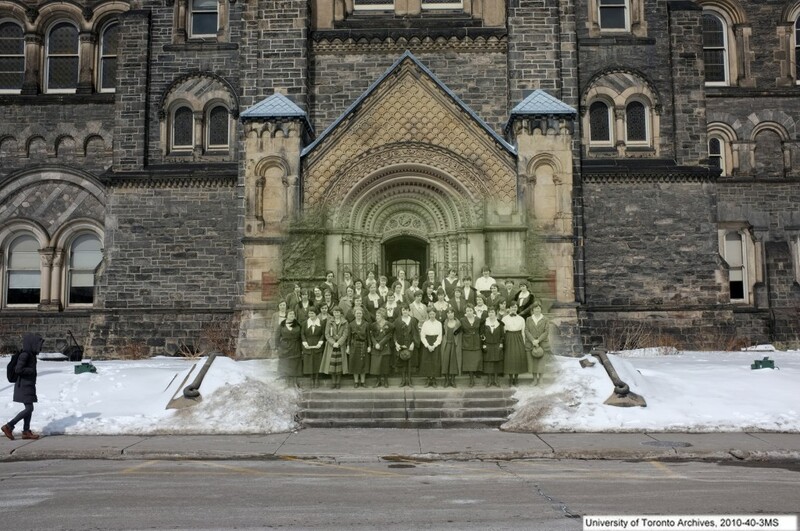 On 15 March 1827 everyone’s favourite university was founded. 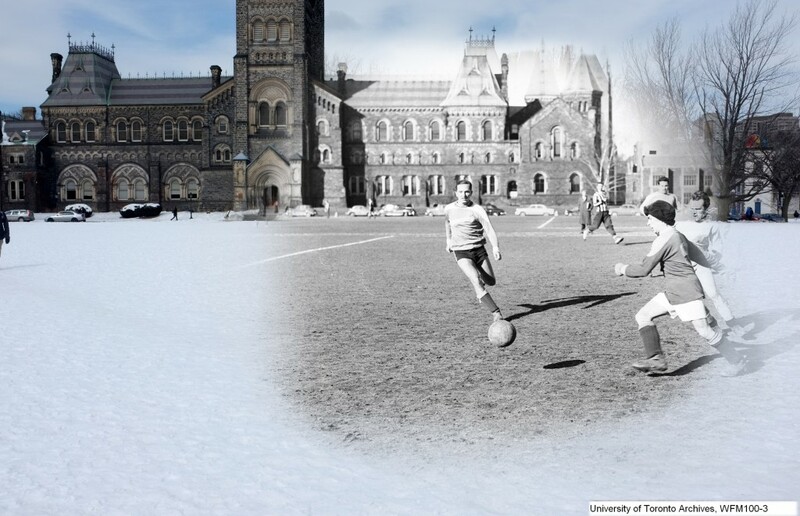 Obviously a lot has changed over the last 188 years, but in some ways, U of T has stayed exactly the same over to this day. 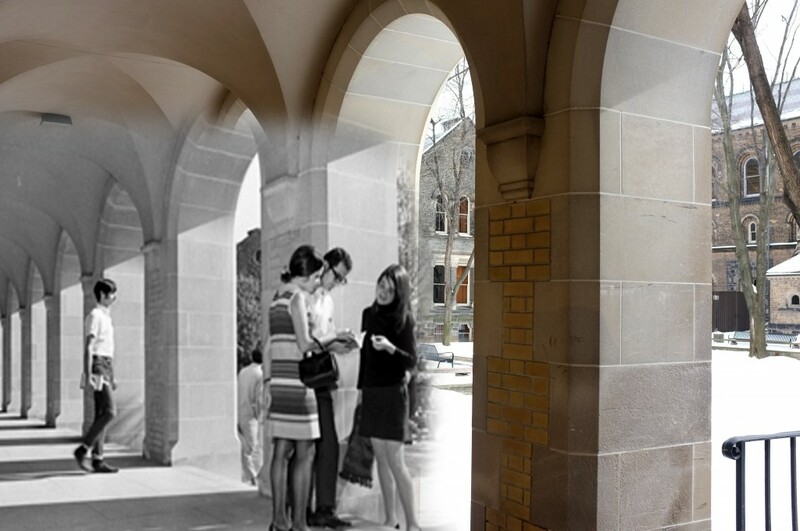 One of my favourite things about U of T is thinking about how many generations of students have walked the same halls that we walk today. 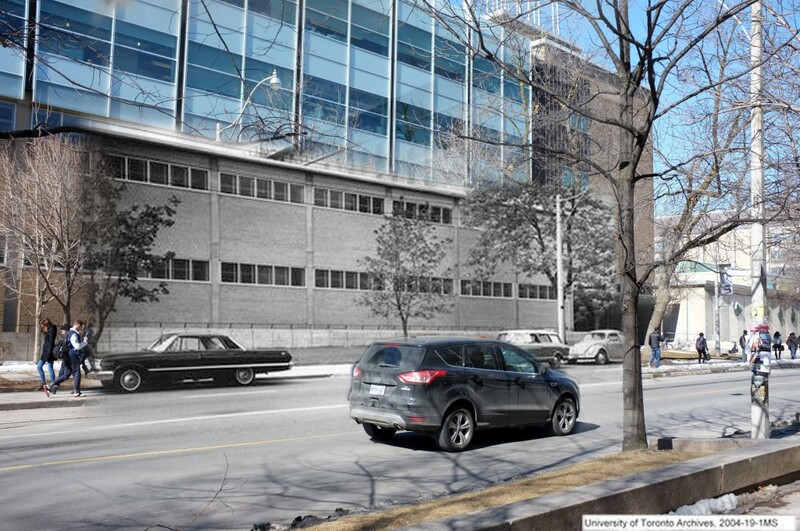 My first post on this blog was my way of looking back at U of T using pictures from U of T’s archives, and in honour of U of T’s birthday I’ve created a few more pictures showing U of T in the past versus how it looks today! oh no big deal, just a tank (!!) 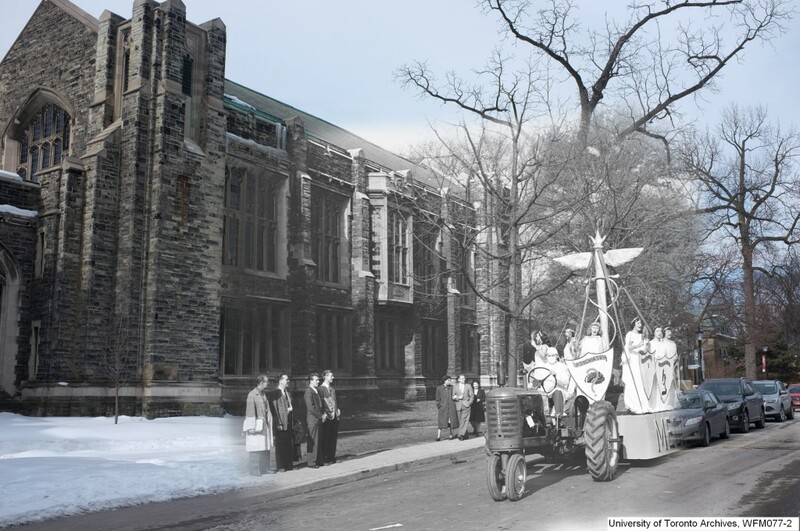 on the lawn of UC in 1950. (source) Here’s another tank in 1948.
bonus fun (because what’s a party without games? 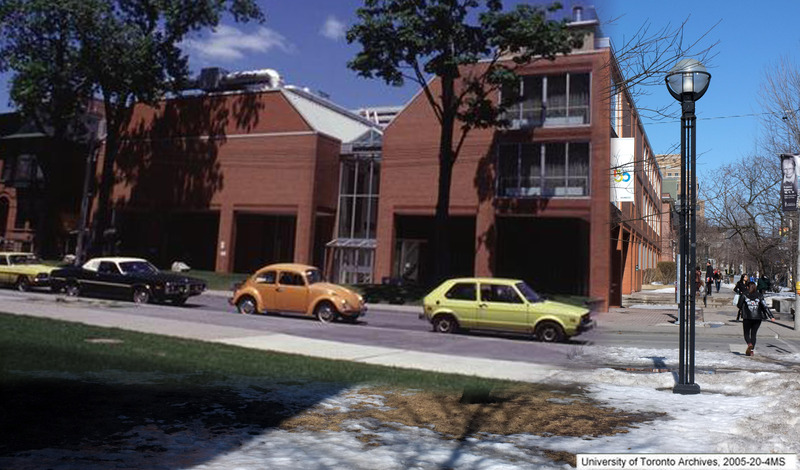 ): In honour of the University’s birthday, U of T Magazine put together a quiz to test your U of T knowledge! 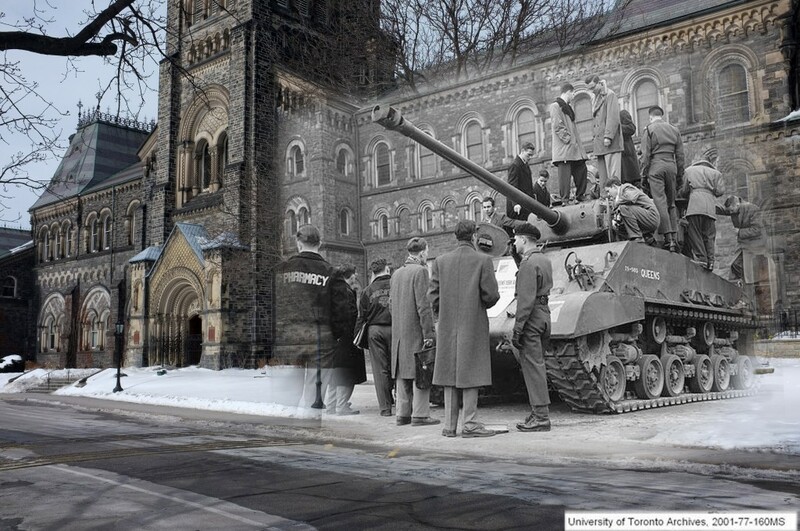 I thought I knew a lot about U of T but I failed miserably at it. See if you can beat my abysmal score of 44%! I really like the balloon above the head of John Ireton (right front). And Chancellor Meredith carrying the cake. I wonder if they would be amused? Haha I hope they would be. they look like they saw a good party or two in their day! Also I’m impressed at your knowledge of who they are! I keep a lookout for that window at Hart House. Thanks! I’m so happy I found this post! The pictures you created are amazing! 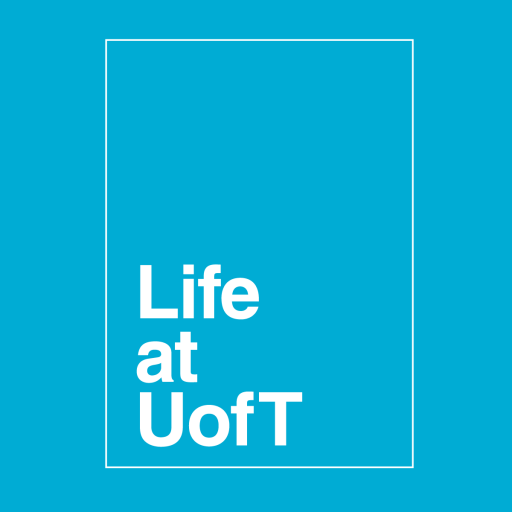 I am a member of the UTHS (University of Toronto History Society – a non-profit organization dedicated to researching and publishing the University’s history), and we’re planning an event to celebrate U of T’s 190th birthday this year. We are in desperate need of some promotional material, and your pictures would really help us out! Would you mind if we used them? I’m glad you like my pictures! I’m not a member of the Student Life team anymore but feel free to use them (so long as you give credit somewhere)!